County estate. 60 acres, gated & fenced. Two multi acre pastures with creosote fence. 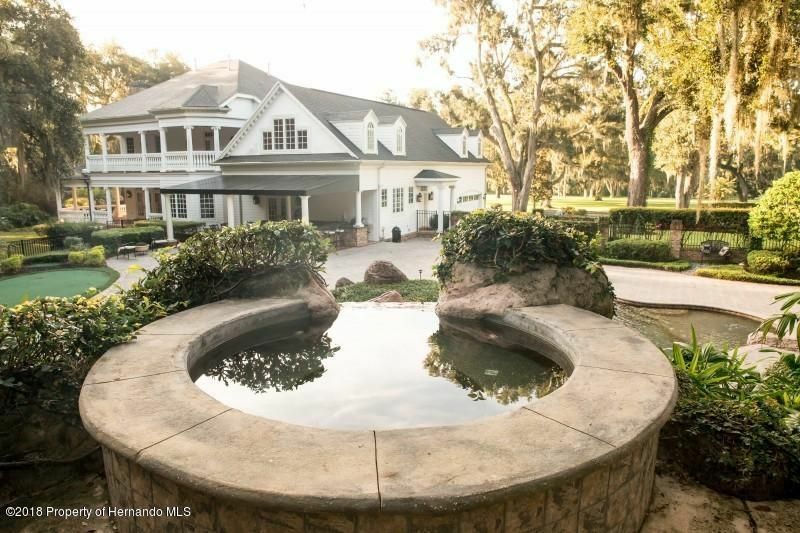 Includes 3 bed, 4.5 bath main house 5,855 sq ft. 3 fireplaces, & tiered theater seating. Kitchen has double ovens, Viking appliances, & dumbwaiter to second floor. Quartz and marble counters, marble floor & showers in restrooms. Three master suites with Jacuzzi tubs. 8 foot solid core doors and volume tray ceilings with layered crown molding. 3 massive brick patios adorned with gas lanterns. Complete with a lagoon style pool, which is saltwater & gas heated, & boasts a water slide, waterfall & hidden grotto. Outdoor bar. Putting green & golf course like yard with mature oak trees. Freshwater runs through property. Includes:1,384 sq ft guest cottage. 3,000 sq ft party barn with stage and dance floor. I am interested in 3364 Rackley Road, Brooksville, FL 34604.